I make no apology for posting a Christmas recipe in November – Its almost December and I’m excited already. I bring this recipe to you vis the Secret Recipe Club which is hosting an extra special instalment this week. Due to there being an extra week in November, we had the opportunity to take part in a themed Recipe Swap with Party/Celebration/Holiday Treats being the theme. All in honour of Thanksgiving being around now. We don’t celebrate Thanksgiving here in the UK, so I decided to skip ahead to the next holiday – Christmas. I was paired with th lovely Terri of Our Good Life – Terristeffes.com. A prolific blogger from New Town, Missouri – Her blog is incredible – You will get lost in it for hours. There’s news of book groups, travel tales, tons of crafts and linkies and sooo many recipes. Honestly, pop on over there and find out for yourself. There were 2 recipes that I kept on coming back to Orange Dreamsicle Confetti Cake and Lemon Confetti Bundt Cake. Both look stunning and I’ve wanted to try a Confetti cake for so long. 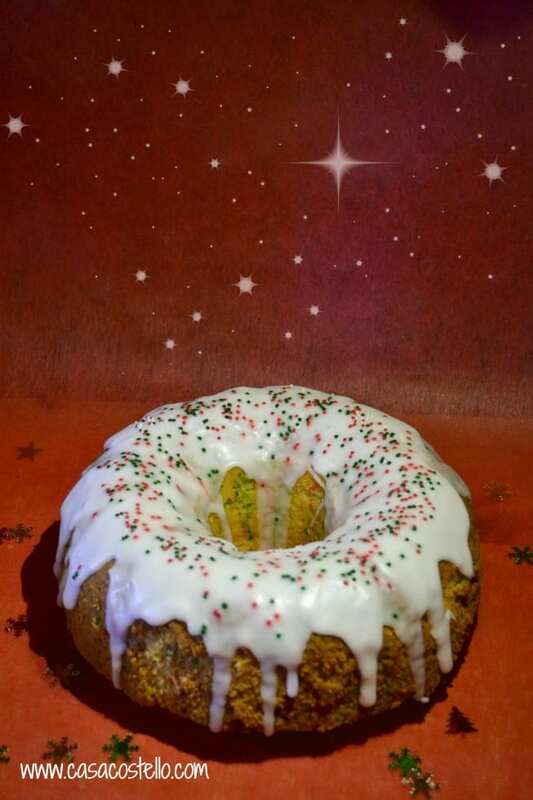 Now Terri’s recipes involve the use of cake mix so I adapted them and went with my trusty Madeira mix – I needed the cake to be sturdy enough to hold its own in the bundt tin. I was so happy with how the confetti sprinkles came out – I followed the instructions not to be tempted to use too many sprinkles and good advice it was too. I used Christmas sprinkles – Basically any strong coloured ones will do. For decoration I went with simple icing sugar made into quite a thick consistency and a squeeze of lemon juice. Extra sprinkles on top finished off the cake perfectly! Now its been really dark around here for yonks – Taking photographs is hideous at the moment so I decided to embrace it and go with a dark & mysterious shot. 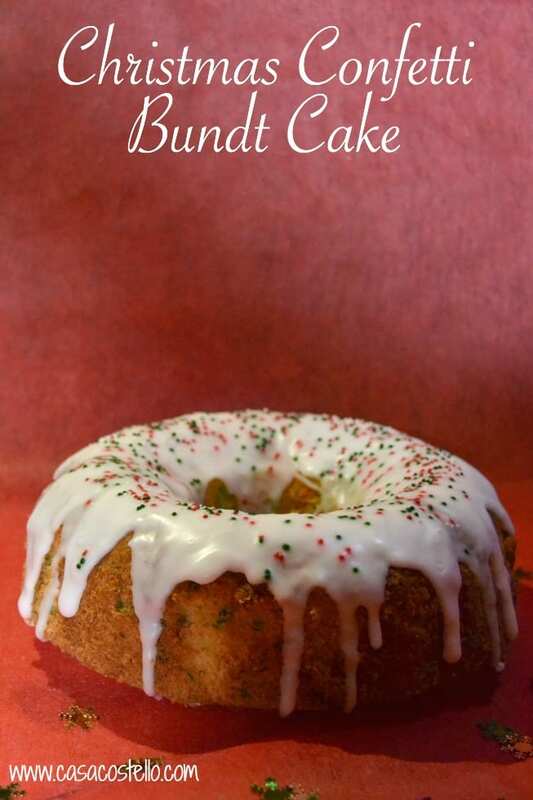 Pour over the top of the cool bundt cake and allow to drizzle down the sides and the center. I love this festive cake! I had your blog today! Thank you for a great recipe!! I love it! Your Bundt cake looks so festive. I love how you took a cake mix and made it homemade! I do just the opposite! 🙂 I loved the lemon with the funfetti and I hope you did, too. Very festive, perfect for Christmas. This looks great. I love the cake recipe, I love home made cakes the best. Great choice for this reveal. The cake looks delicious and very Christmasy. I’m sorry I missed the linky, maybe I’ll see it next time. 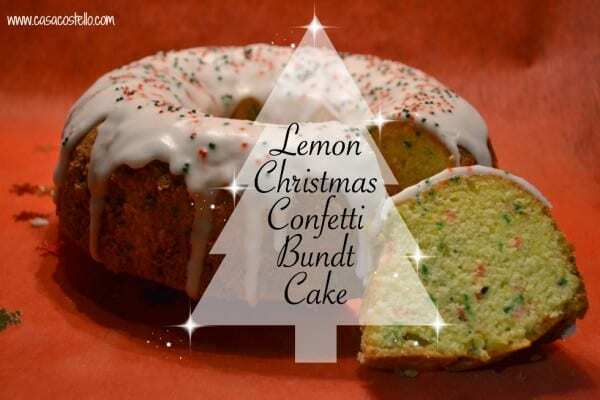 Beautiful and festive bundt. I love the way the sprinkles you used bleed into the frosting.